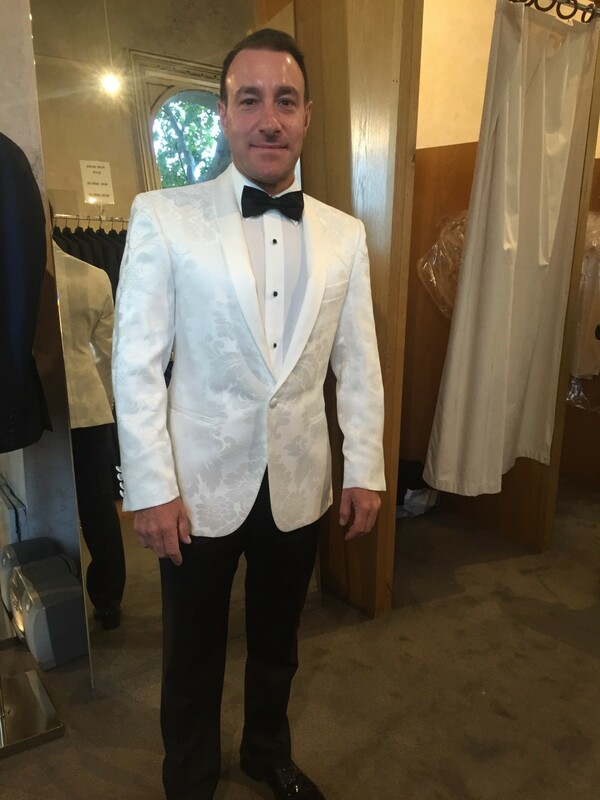 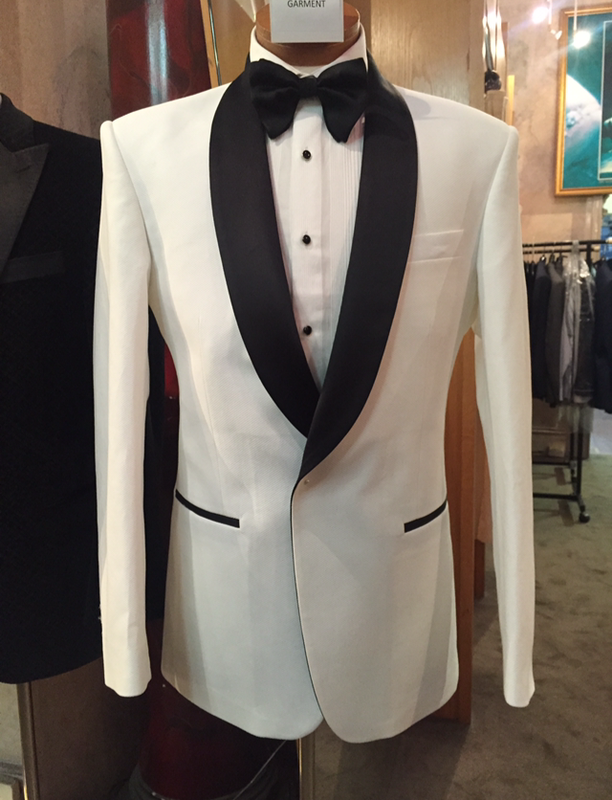 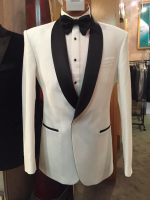 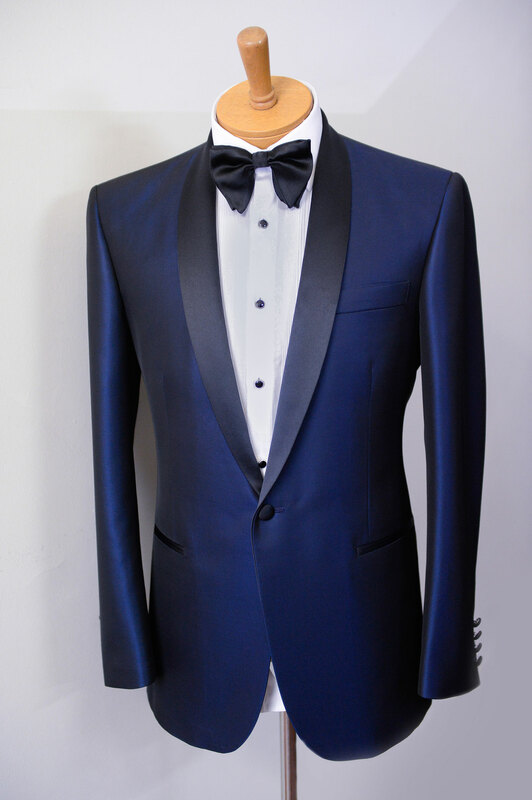 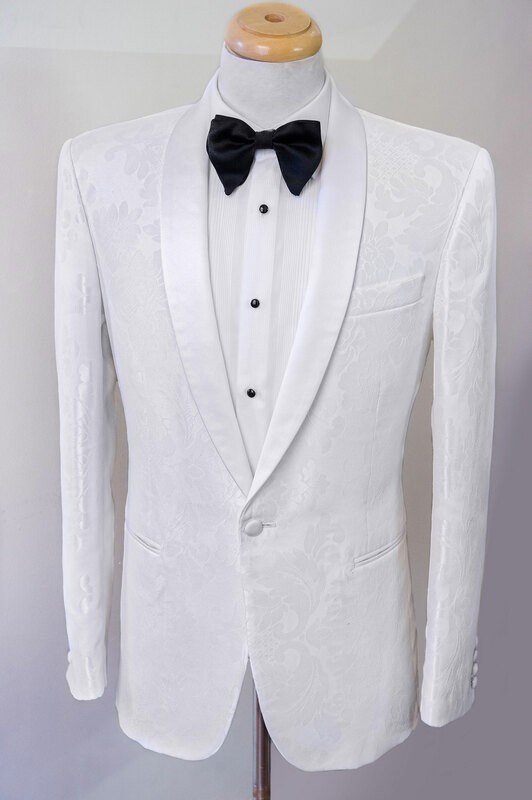 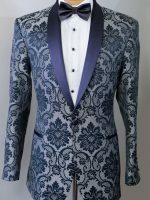 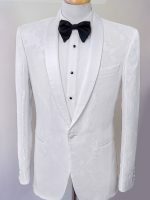 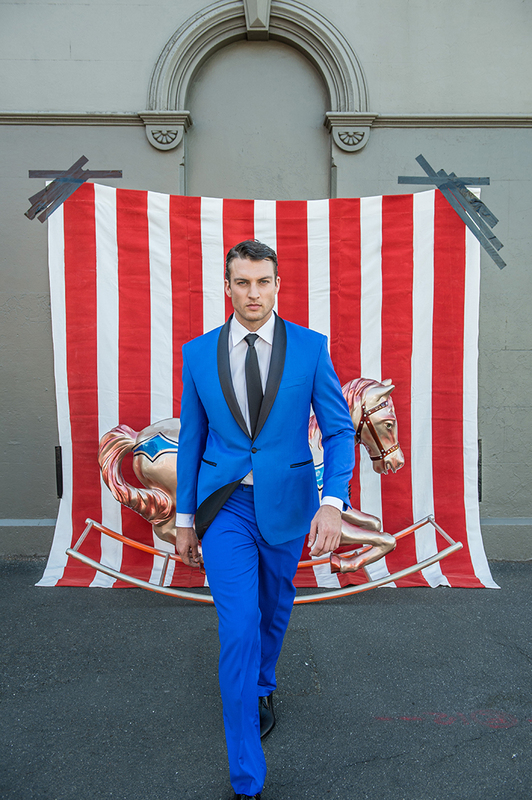 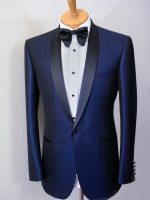 Spectre – Tailored Blue/Black Tuxedo Jacket – 1 Button Shawl Collar Satin Lapels. 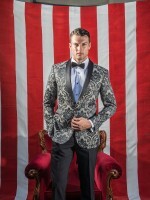 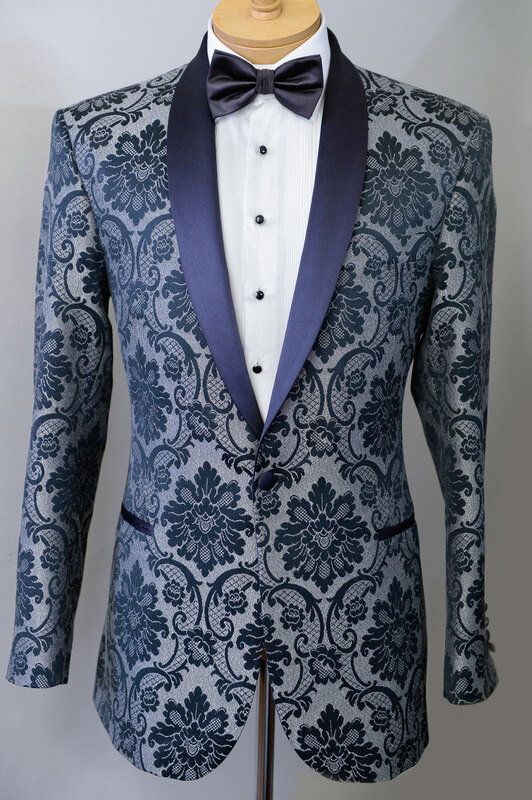 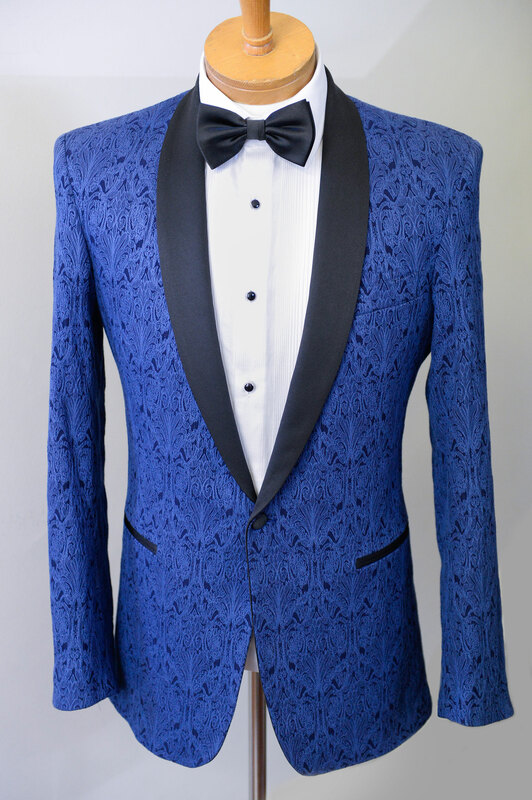 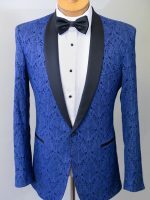 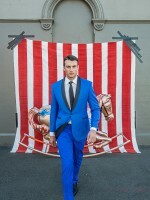 Award – Tailored Cobalt Blue Brocade Tuxedo Jacket – 1 Button Shawl Collar. 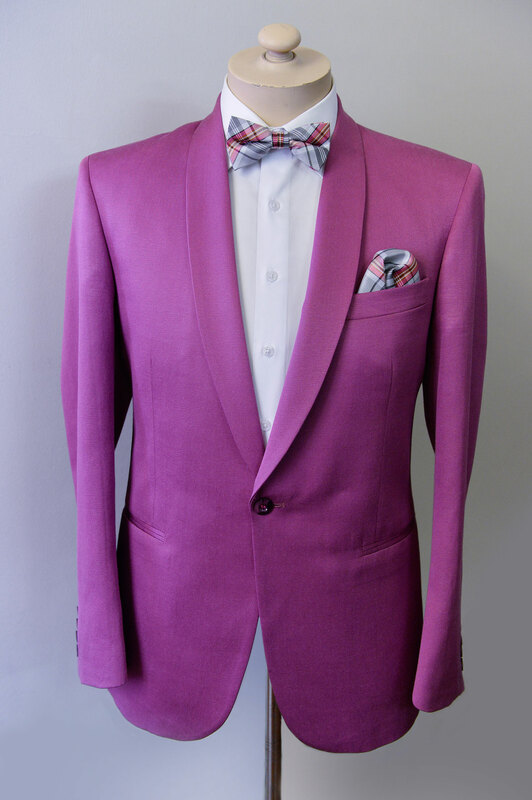 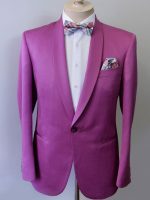 Bruno – Tailored Cerise Dinner Jacket – 1 Button Shawl Collar. 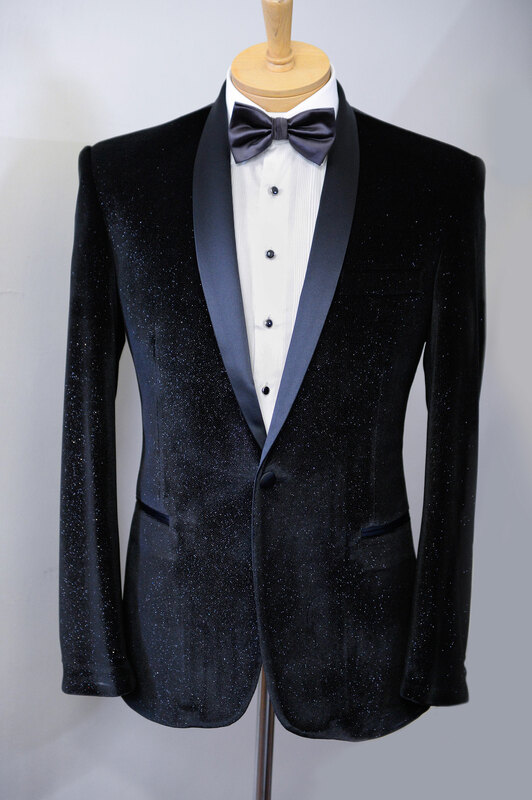 Prince – Tailored Black/Gold Brocade Dinner Jacket – 1 Button Shawl Collar. 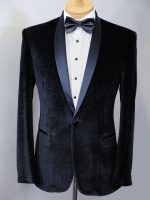 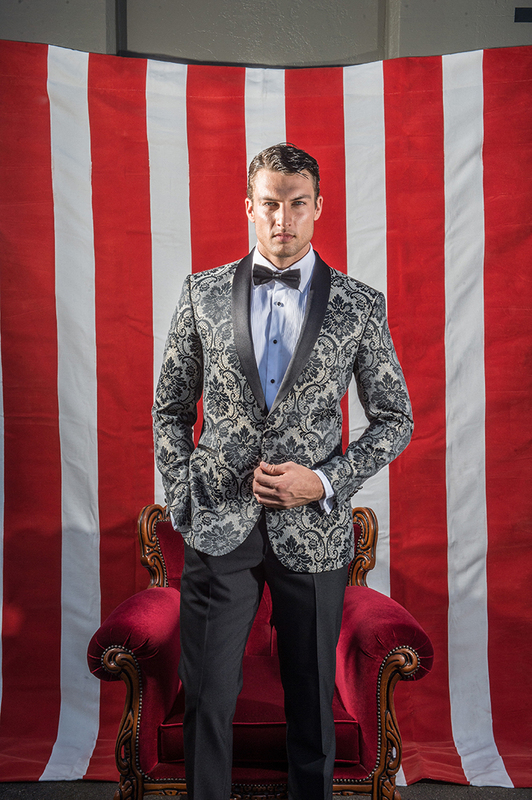 Master – Tailored Black Velvet & Lurex Dinner Jacket – 1 Button Shawl Collar.